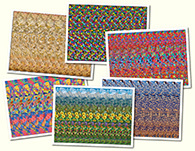 Cross-Eyed Stereogram Gallery : Santa Barbara (Cross-eyed) : Stereogram Images, Games, Video and Software. All Free! 1. OMG! I feel like I am there!! 5. this is nice but its kinda hard to see straight after you were doing crossed. 6. he he he br br it s funny to read the comments especially about difficulty to see straight after crossing one s eyes... It hurts tho br br Nice one. 7. I believe cross-eyed is too much for me. 9. OMG I m on a boat!!! It s like I m really here!!! 12. 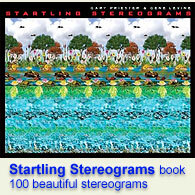 In my opinion cross eyed stereograms are way better because it looks like they actually pop out at you.